Meet the Selectmen events are held on the last Saturday of each month. 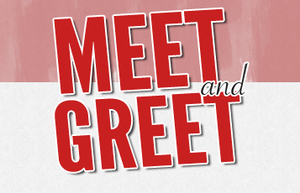 Our next Meet and Greet is Saturday, January 27, from 9 - 10:30 a.m. at Dunkin Donuts, 270 Federal Road. Please feel free to stop by with any questions, or to let us know what's on your mind. For more news, announcements, and activities, please sign up for Brookfield Matters on the Town's website.